The equivalent circuit diagram of any device can be quite helpful in predetermination of the behavior of the device under the various condition of operation. It is simply the circuit representation of the equation describing the performance of the device. 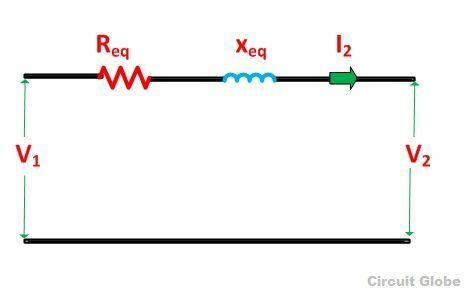 The induced emf E1 is equal to the primary applied voltage V1 less primary voltage drop.This voltage causes current I0 no load current in the primary winding of the transformer. The value of no-load current is very small, and thus, it is neglected. Hence, I1 = I1’. The no load current is further divided into two components called magnetizing current (Im) and working current (Iw). 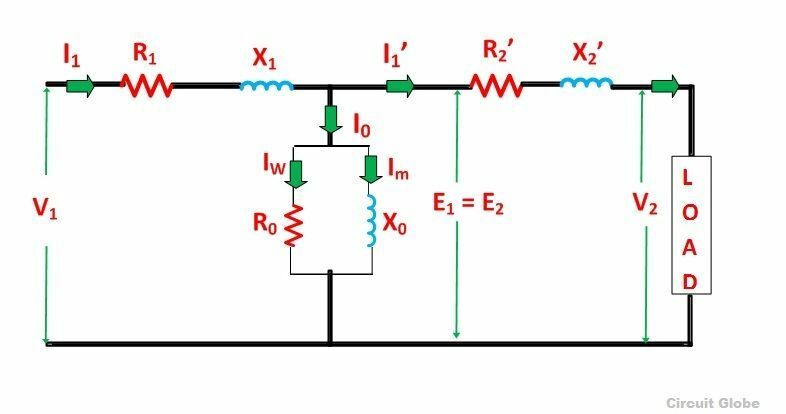 These two components of no-load current are due to the current drawn by a noninductive resistance R0 and pure reactance X0 having voltage E1 or (V1 – primary voltage drop). The terminal voltage V2 across the load is equal to the induced emf E2 in the secondary winding less voltage drop in the secondary winding. The equivalent circuit diagram of the transformer is shown below when all the quantities are referred to the secondary side. 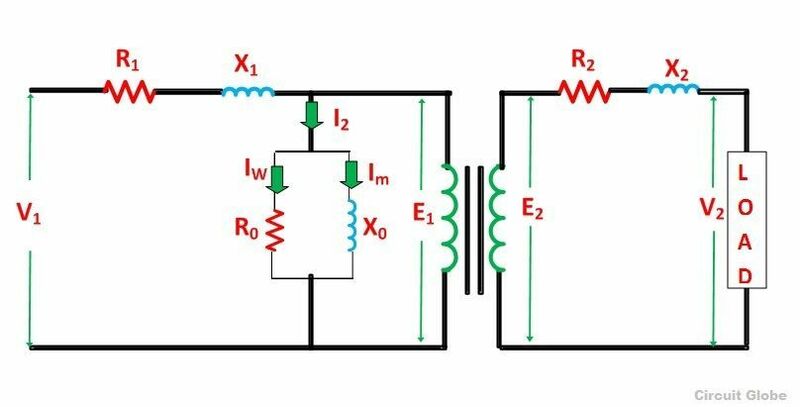 No load current I0 is hardly 3 to 5% of full load rated current, the parallel branch consisting of resistance R0 and reactance X0 can be omitted without introducing any appreciable error in the behavior of the transformer under the loaded condition.